White House reportedly aiming to bring regional Arab troops to Syria instead of US forces, preventing ISIS comeback and Iranian foothold. The Trump administration is seeking to assemble an Arab force in Syria that would replace the US military presence there, US officials told The Wall Street Journal. According to the officials, the administration has asked Saudi Arabia, Qatar and the United Arab Emirates to contribute billions of dollars to help restore northern Syria, and wants Arab nations to send troops to the area. In line with the plan, the officials said that new National Security Adviser John Bolton had recently called Egypt’s acting intelligence chief Abbas Kamel, to see if Egypt would play a role in the effort. According to the report, the goal of the regional Arab force would be to work with local Kurdish and Arab forces that the US has been backing to ensure that ISIS does not make a comeback in northern Syria, and Iran does not consolidate control in areas previously held by ISIS. 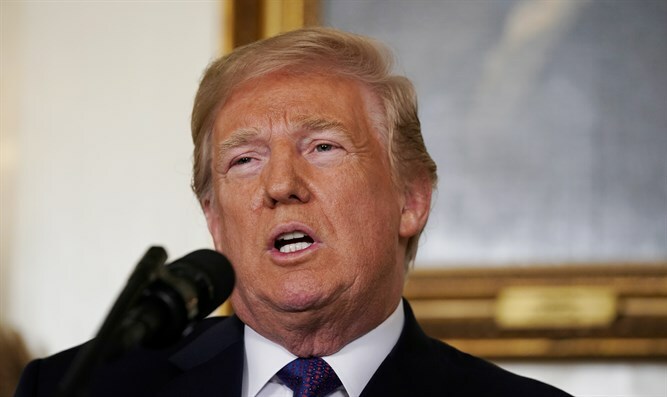 On Sunday, the White House reiterated its desire pull US forces out of Syria as quickly as possible, and called on Arab countries to take greater responsibility in securing the region. Earlier on Sunday, US Ambassador to the UN Nikki Haley told Fox News that the US would remain in Syria until it had achieved its goals, which she said included defeat of the ISIS terror group, ensuring that chemical weapons do not threaten US interests, and monitoring Iranian actions in the region.